Tuesday, November 1, 2011: Lynds' Dark Nebula (LDN) 1622 demonstrates the evolution of stars. 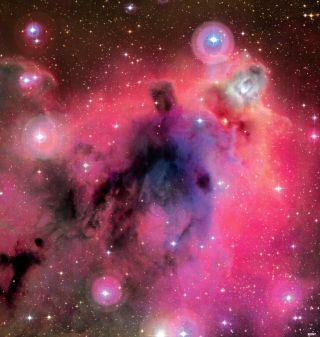 Star formation results from the collapse of giant clouds of molecular gas and dust. The stars eventually emerge into visibility with their blue light scattering and reflecting off dust particles present in the gas. LDN 1622 lies near the plane of our Milky Way Galaxy, close on the sky to Barnard's Loop. LDN 1622 is situated perhaps only 500 light-years away. This week we watched pumpkins glow in space, looked for bright alien city lights and took space fashion lessons from our commander-in-chief. See some of the best space photos of the week of Nov. 5, 2011.